At The Exercise Coach®, we have a passion for cutting through conventional wisdom and making the path to transformation clear. The result has been the creation of the most potent and practical personal training system in the industry. Many of our personal training clients are serious about maximizing their weight loss results and overall wellness. 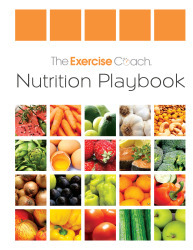 To this end, we have created a plan that combines whole-effort exercise, whole-food nutrition, and strategic supplementation. We call it The Metabolic Comeback.™ It’s more than a weight loss plan. It has been designed to put you on the right track hormonally and re-set your metabolism in as little as 30 days of focused effort. The Metabolic Comeback™ is available at The Exercise Coach® location nearest you. Please utilize the links below for more information and motivation as you journey toward healthier eating. *Make sure bacon is uncured, no-sugar added for all recipes. 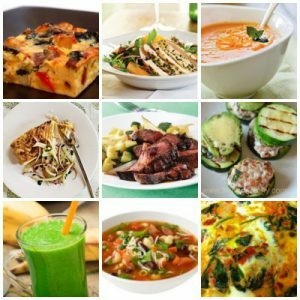 * Recipes approved for 30 day Metabolic Comeback Challenge with no changes or modifications necessary. You asked, we answered. Here are some wonderful, Whole Food Recipes to enjoy while making your metabolic comeback. All of these delicious recipes are also located on our Pinterest page.